Our Guide To Air Infiltration can help you better understand this very important term for a home windows energy efficiency. Typcically, windows are measured and tested for air infiltration by simulating 25 mph winds, which is the equivalent pressure load of 1.56 psf or pounds for square foot. Air infiltration is often simply abbreviated AI by contractors and industry experts. 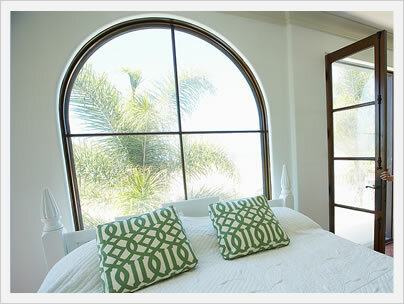 It's an important term, along with U-factor, SHGC and VT, in determining how energy efficient a window is. The term refers to the amount of air that is able to pass through window unit and will fall somewhere between .30 and 0. Anything over .20 is horrible, anything under .12 is decent and anything under .06 is quite good. 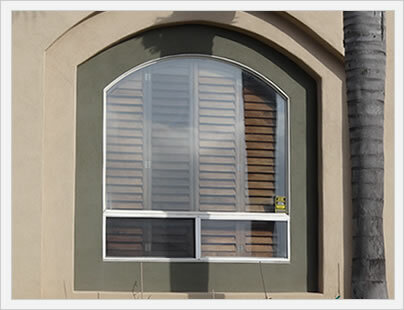 Ideally, a window will have an air infiltration number of .10 or lower. Well made vinyl and fiberglass windows will typically have the best AI numbers on the market. The top or premium models from Soft-Lite, HiMark and Sunrise Windows should have .03 or lower AI ratings, all extrememly impressive. Upgrades to the glass package or sill reinforcements will help a product to lower its AI rating appreciably. The following are sample air infiltration numbers from popular manufacturers. Check out our Guide To Energy Efficient Windows article to see additional factors that go into making cost effective windows.